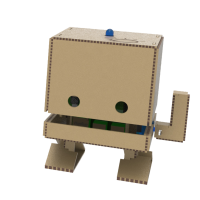 The focus of these camps is to educate the kids so that they can program their very own TJBot! 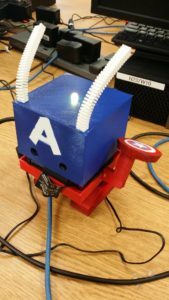 This is a combination of IoT, IBM, Watson, IBM Cloud (formerly Bluemix), Python, and Raspberry Pi. 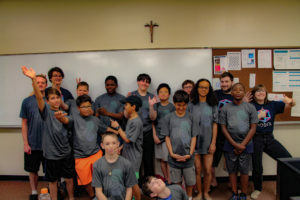 Our camps are designed to build on each other so that the education is continuous. 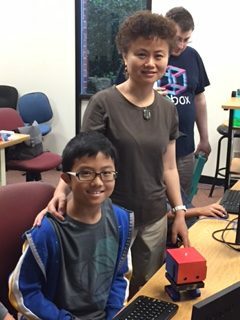 By the end of our NoBox TJBot camps, the goal is for the students to have the knowledge to continue and to explore their education independently! Unfortunately we have had to cancel plans for summer camps this year. But we are developing workshops that will be every couple weeks during the school year! We are working on confirming dates and locations!